Paper for the Datamax-O-Neil Apex 3. 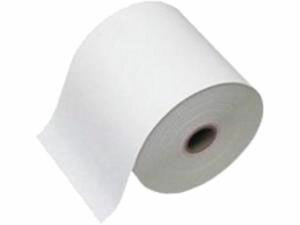 Premium-grade paper for the Apex 3, 3.125" x 40', 0.4" core, 1.375" outer diameter. 50 rolls/case. Hi Temp grade paper for the Apex 3. 3.125" x 29', 0.4" core, 1.375" outer diameter. 50 roll case. Image Protect grade paper for the Apex 3. 3.125" x 29", 0.4" core, 1.375" outer diameter. 50 roll case. Long Life-grade paper for the Apex 3, 3.125" x 42', 0.4" core, 1.375" outer diameter. Single roll. Heavy Duty grade paper for the Apex 3. 3.125" x 29', 0.4" core, 1.375" outer diameter. 50 roll case. Standard-grade paper for the Apex 3, 3.125" x 43', 0.4" core, 1.375" outer diameter. 50 rolls/case.